Home blog information learning linkedin lynda What are the benefits of LinkedIn learning courses? What are the benefits of LinkedIn learning courses? 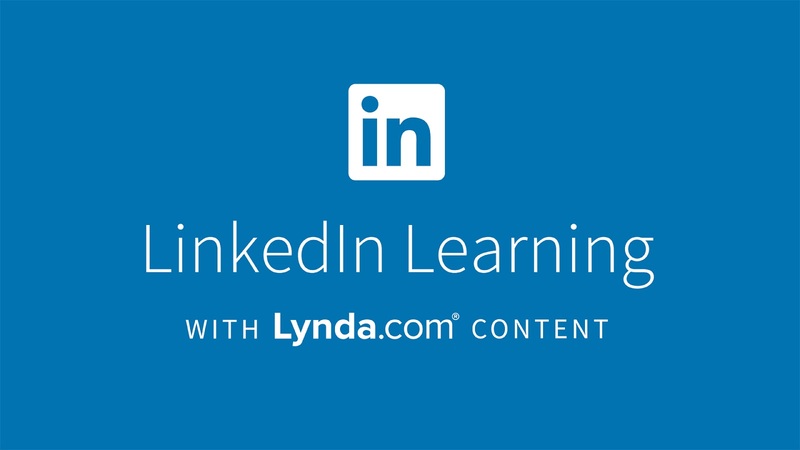 LinkedIn learning is the integration of Lynda, a US based e-learning platform which was purchased by LinkedIn in April 2015. A LinkedIn subscription now includes free access to LinkedIn learning which offers courses to help you learn business, software, technology, and creative skills to achieve your professional goals. Excellent production and very easy to follow modules. As an active LinkedIn user (Premium profile) I can list a couple of benefits for leveraging this great opportunity to learn via LinkedIn Learning. Most important is that it is a great way to expand your knowledge and make a move in your professional development. Personalized learning that suits you - if you already have skills on your profile, it is easier to find relevant courses and get recommendations from the platform. You can also filter courses based on the skills you have or based on skills you’d like to master. Thousands of courses from Lynda: Online Courses, Classes, Training, Tutorials covering business, tech and creative skills - but try sorting them out based on their upload date (e.g. Google Analytics course from 2016 is not that much applicable due to Analytics’ changed UI). Video-based tutorials are produced in-house in their California studios. Customization possibility - you can also add your own content (or from your organization) via links. Analytics that will keep you informed about your progress - how much knowledge you’ve adopted, level of engagement and more..
Material can be downloaded (PDF files and other related documents). Pricing - LinkedIn Learning is available as a Premium subscription and costs $29.99 a month for a monthly subscription, plus taxes. Annual subscriptions cost $299.88 per year, plus taxes. You can have a free trial for a month. Is LinkedIn Learning worth it? If you need to quickly improve a skill or knowledge of a software package, then yeah, LinkedIn Learning will serve as an excellent introduction. If you are doing this as part of portfolio development, you still need to design and execute a project on your own.